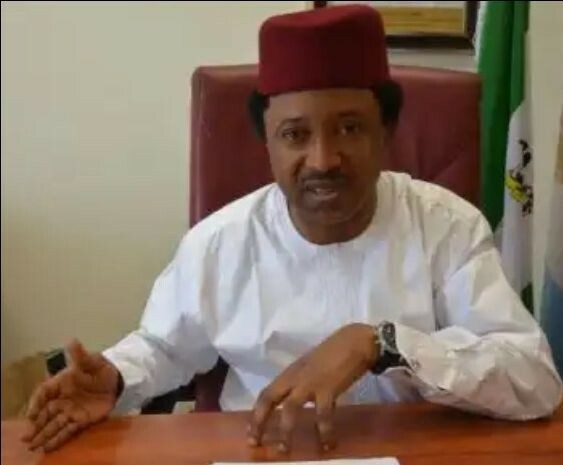 A group, Youth Movement for Credibility on Wednesday described alleged recall of Senator representing Kaduna Central, Shehu Sani as futile attempt by its sponsors. Another group, Concerned Indigene of Kaduna Central Senatorial District had earlier at a press briefing threatened to recall the lawmaker over what it called highhandedness on President Muhammadu Buhari and Kaduna State Governor, Nasir El-Rufai’s policies. Addressing newsmen at the Correspondent Chapel of Nigerian Union of Journalists in Kaduna, Coordinator of the group, Mustapha Aliyu noted that, the senator had always insisted on not only the good governance of Kaduna State but Nigeria in general, hence such could not be used against him. Aliyu added that, the lawmaker had on different occasions championed anti corruption campaigns as reflected on his sponsored bills and motions in the red chamber of national assembly. “What we are seeing today is Shehu Sani’s consistent insistence not to join Nasir El-Rufai in impoverishing Kaduna State. “It is no secret that since Nasir El-Rufai became governor, he has plunged Kaduna State into one crisis or the other in a bid to become the emperor of Kaduna State politics. This did not stop him from retrenching both the state and local government workers. “Many of the state owned institutions have not been performing optimally in spite of being a beneficiary of the Federal government’s bail-out funds and also the Paris club refund to states. “Kaduna State is now adjudged one of the worst governed states in Nigeria since the emergence of the new Adolf Hitler in the state. Nothing is working in the state and Shehu Sani and other progressives have vowed never to remain silent in the face of this gross mis-governance. “It is therefore, outrageous that rather than commit himself to revamping the state, Governor El-Rufai would devote his entire energy, state resources and time to a futile and fraudulent recall process of Shehu Sani that would further plunge the state into unimaginable debts. “Besides, this is a chief security officer of a state who is now the prime architect of insecurity in his own state. El-Rufai’s acute sense of insecurity has turned Kaduna State to a volatile one as he continues to project his fear unto others. “What does Governor El-Rufai really want, in the first place? Perhaps, his desire is that the laws should be amended by the National Assembly so that he can have the sole right to choose those to represent Kaduna State in the Senate, house of representatives, the house of assembly, local government chairmen and Councilors as well. “His numerous awards are pointers to his avowed goal of repositioning the poor masses of his state to stand against forces of oppression and repression in a poverty ravaged state like Kaduna State. “As we await the outcome of the ‘comedy of errors’ in which a failed governor now apparently seeks a new career as the sacker of legislators, we call on well meaning Nigerians to condemn the misuse of state power while demanding that El-Rufai concentrates on rescuing his sinking state from the political abyss that wants to consume him and his horde of daily bread hatchet men. “Nasir El-Rufai is not the first Governor of Kaduna State and he certainly will not be the last. He should therefore not destroy the state to a level that would make it a laughing stock in Nigeria. If a lawmaker must be recalled, it must come genuinely from his constituents without outside forces remotely controlling the process with state resources. The constitution does not envisage that a governor is in a position directly or indirectly to sack a senator, a member of the house of representatives, or even a member of a State house of assembly. Therefore, Nasir El-Rufai must be stopped”, Aliyu stressed.